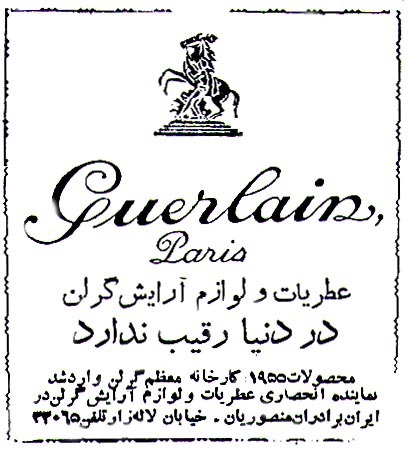 "Guerlain perfumes and make-up accessories [from Paris] have no competition in the world. The great Guerlain factory products for 1955 have arrived. Exclusive distributors: Mansourian Brothers at Lalehzar Street." Published in Ettela'at, December 26, 1954.